Miami, FL – September 11, 2018 – The Global Wellness Institute (GWI), a 501(c)(3) nonprofit organization and a trusted, internationally recognized resource for wellness industry data, today announced that an in-depth update of its Global Wellness Economy Monitor will be released at this year’s Global Wellness Summit, taking place at Technogym Village, Cesena, Italy, October 6–8. 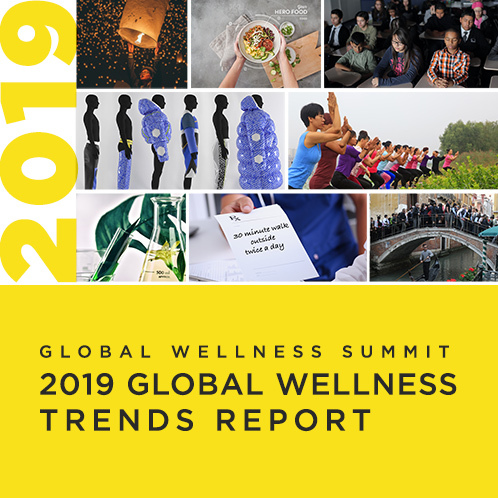 The highly anticipated research will update figures for the 10 industry segments that comprise the global wellness economy and include comprehensive, updated analysis on the size and scope of global wellness markets, including detailed, global regional-level analysis, trends and data. To learn more about the Global Wellness Institute and to support its research, click here.